Sunday’s have now become a brunch necessity. There’s nothing better than spending a lazy morning in bed with a movie, then heading off to grab some delicious egg based food with friends. 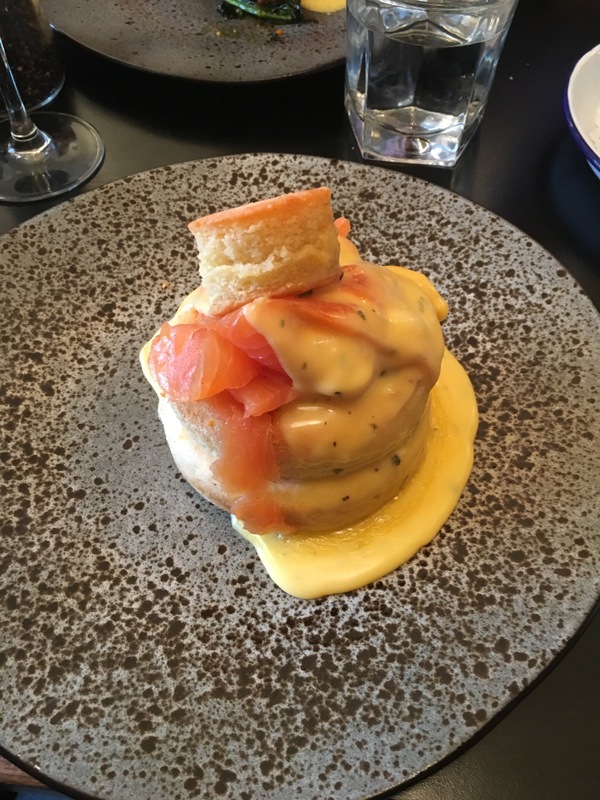 Brunch is so popular because you get the benefits of sleeping in, yet don’t miss out on the wonders that await you in the world of breakfast based food. After the popularity of ‘breakfast in bread’ I asked around for people’s most unusual brunch favourites. Goode & Wright was the first suggestion, and as a lady of her word I decided to try it out. Fortunately being in South West London, Portobello Road is a quick 25 minutes away on public transport. Leaving my house at midday, Charlie and I arrived in the 1920s vintage style, oak panelled restaurant speedily. I booked, and lucky we did as it couldn’t have been busier, with people being turned away every few minutes. Whilst we waited for our dining partners Charlie and I quickly chose what we were going to order. Once they arrived, we waited around half an hour to actually speak to a waitress and get our order in, but watching the food around us kept us going. 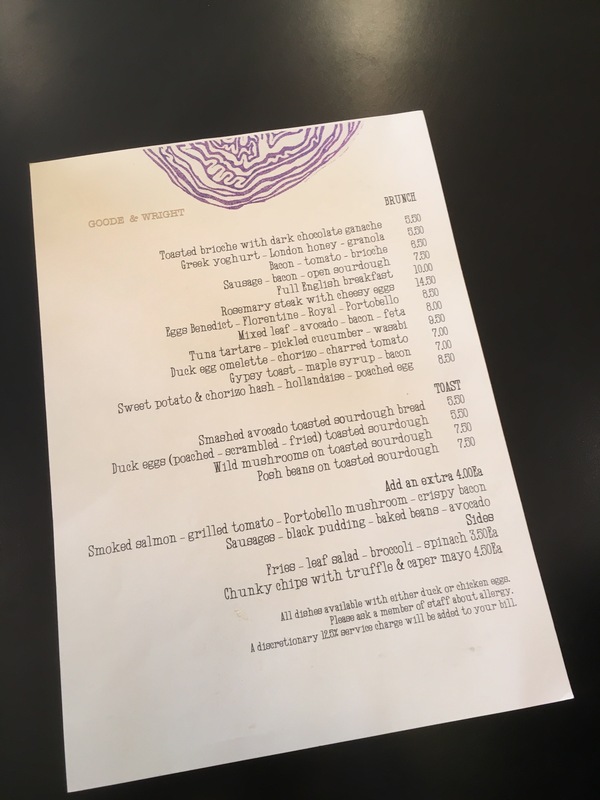 Charlie went for the bacon – tomato – brioche with extra sausage, Abby for the sweet potato hash with hollandaise & poached eggs with Eoin going for his usual eggy bread with bacon and maple syrup (bacon and maple syrup is definitely his thing). When it came I knew I’d made the right decision. 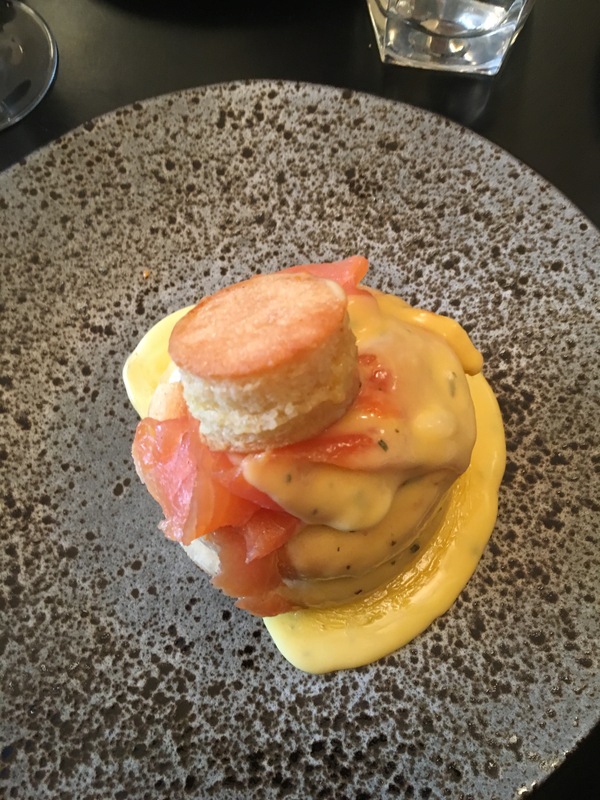 The donut-esq humongous muffin had the middle cut out, with a poached egg almost baked in the middle, with smoked salmon stuffed inside and the middle of the muffin placed on top. The hollandaise was tarragon infused, which made it quite bernaise-y, and they were very generous with their drizzling of it. Although the salmon was incredibly smoky, it was absolutely delicious. 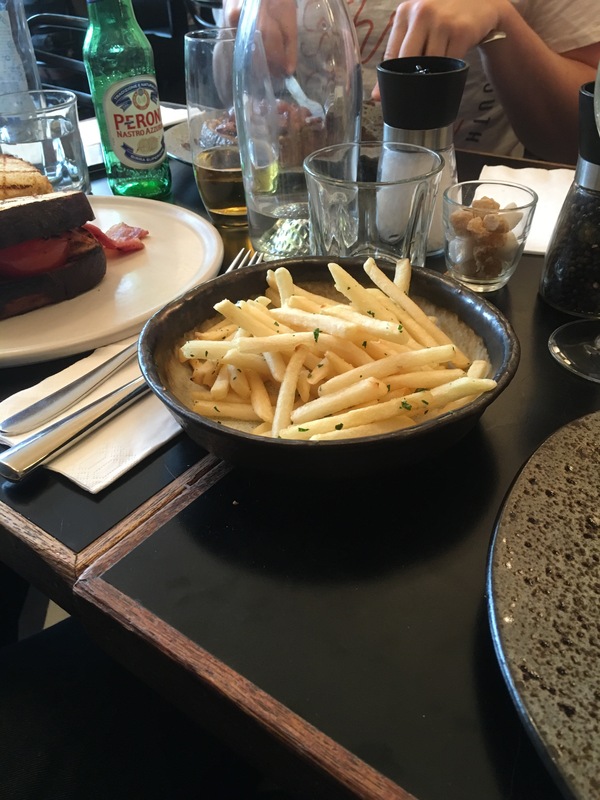 They’d run out of chunky chips but we ordered fries to share which was served with a truffle and caper mayonnaise. The Mayo was so good, although definitely would have suited a thicker potato than a skinny chip, but next time. Eoin and Abby’s portions seemed really small compared to mine and Charlie’s, but they seemed to enjoy it. However, the service was terrible which dampened the experience for us all. Although the manager explained the kitchen was under enormous stress as one of them was at the hospital about to become a daddy, it doesn’t excuse the front of house staff from being lazy, rather rude and not attentive. As delicious as it was, I’m not sure I would be back too soon. One of my best friends Jess lives around the corner so we could have a summer brunch, but I look forward to trying out more unusual dishes around London.